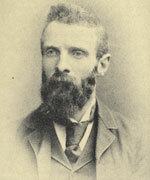 William Henry Quilliam (April 10, 1856 – 1932), who changed his name to Abdullah Quilliam, was a 19th century convert from Christianity to Islam, noted for founding England’s first mosque and Islamic centre. Somehow not much seems to have changed since he wrote these words in 1896! Abdullah Quilliam was ennobled as the Sheikh of Islam of the British Isles in 1894 by the Ottoman caliph and by the Emir of Afghanistan; he remains a symbolic flag-bearer for British Muslims. This book is the first full biography of Abdullah Quilliam by Ron Geaves, Professor of the Comparative Study of Religion at Liverpool Hope University. Highly recommended! Click the pic for more details.